Address: 2616 S. Memorial Ave.
Will be KING BED for 2018 ! 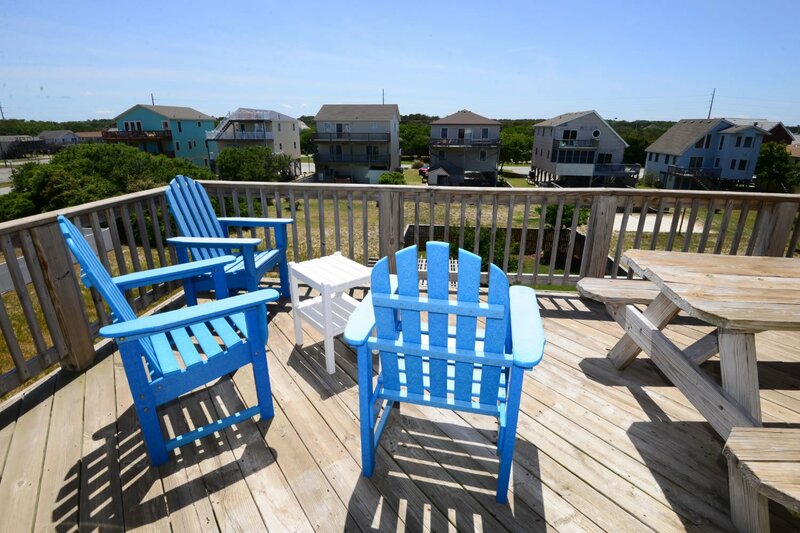 Charming Decor & Comfortable Furnishings make this Very Well Equipped home a great choice for your Outer Banks vacation. 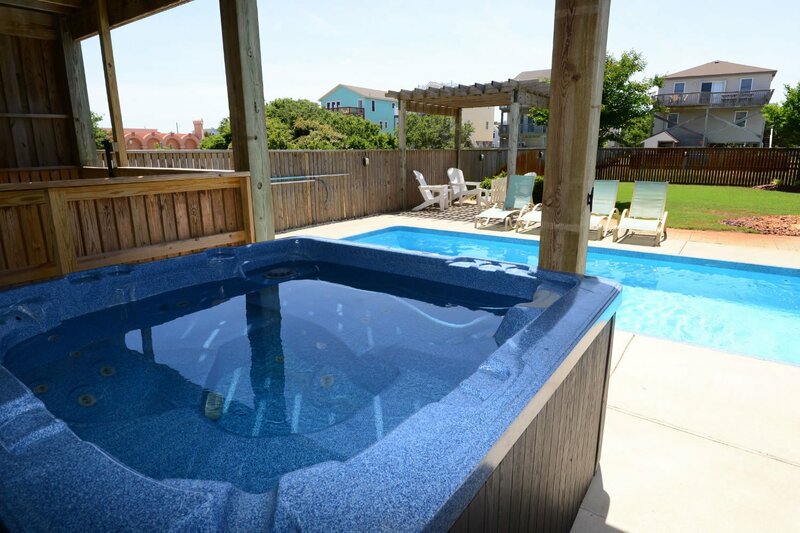 Ideally situated just One Block from the Beach (570 ft. to Baltic Street Beach Access), this home is great for Families & offers the Luxury of your own 12x24 Private Swimming Pool, Hot Tub, & Rec. Room w/Foosball. 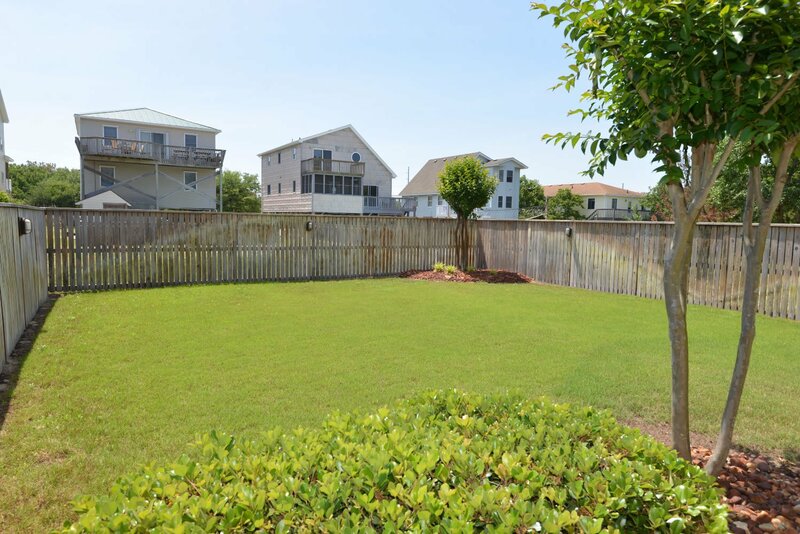 The Beautifully Landscaped Backyard & Pool area are Entirely Fenced & Provide a Great Place for your Children to play while you Lounge around the pool. Ground Level: Parking for 4 Cars, Covered Entry, Rec. 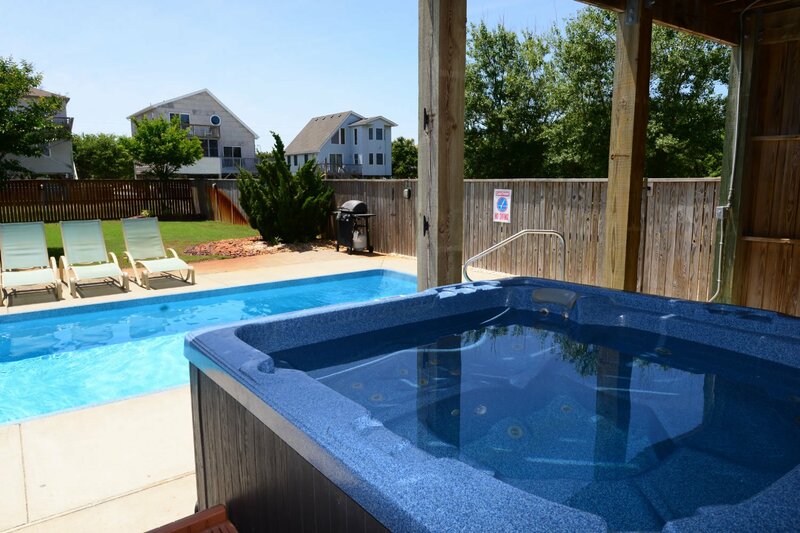 Room w/Foosball Table, Wet Bar, TV, Full Bath, Access to 12x24 Private Swimming Pool, Hot Tub, Pool Furniture, Sitting Area under the Custom Pergola, Fenced Back Yard w/ Cool, Inviting Grass Lawn, Enclosed Outside Shower, & Gas Grill. 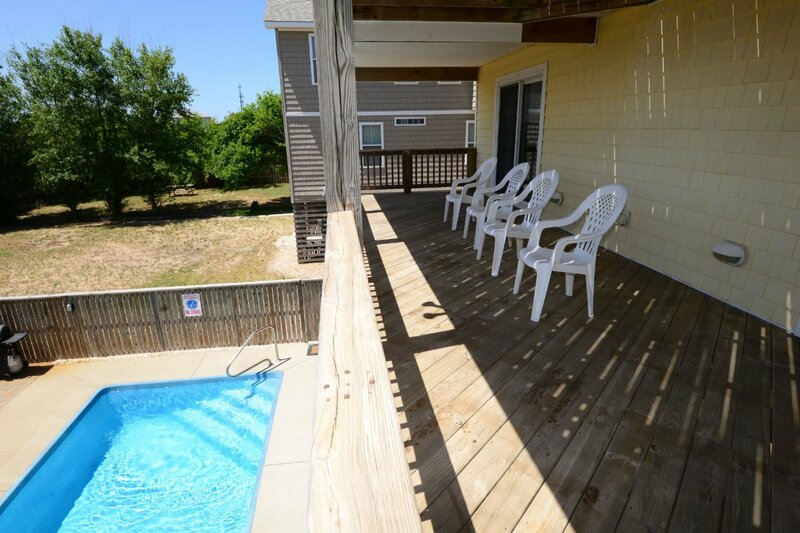 Mid Level: 3 Bedrooms (1 Master Suite w/King, TV, Full Bath, & Access to Covered Deck, 1 w/Queen & TV, 1 w/King & TV), Shared Full Bath, & Access to Covered Deck. 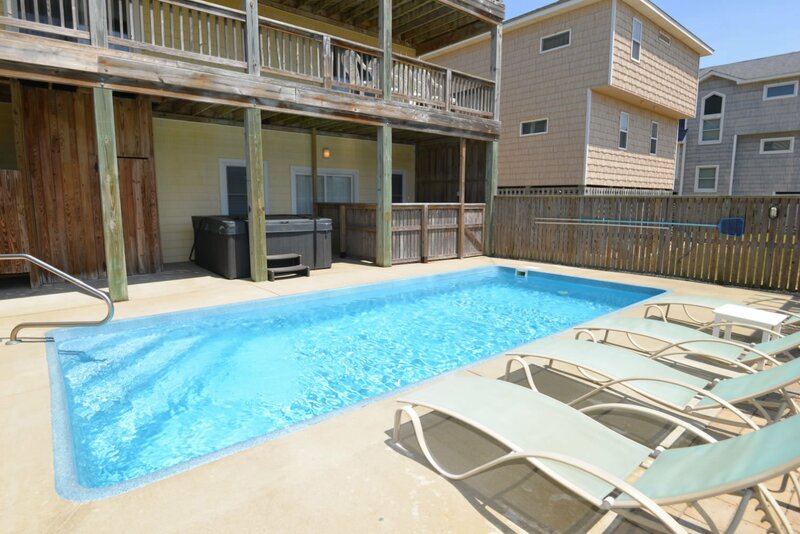 Top Level: Living/Dining/Kitchen Area, TV, DVD, Half Bath, Master Suite w/King, TV, & Full Bath, Sun Deck w/Deck Furniture Overlooking Pool Area, & Covered Deck w/Deck Furniture. 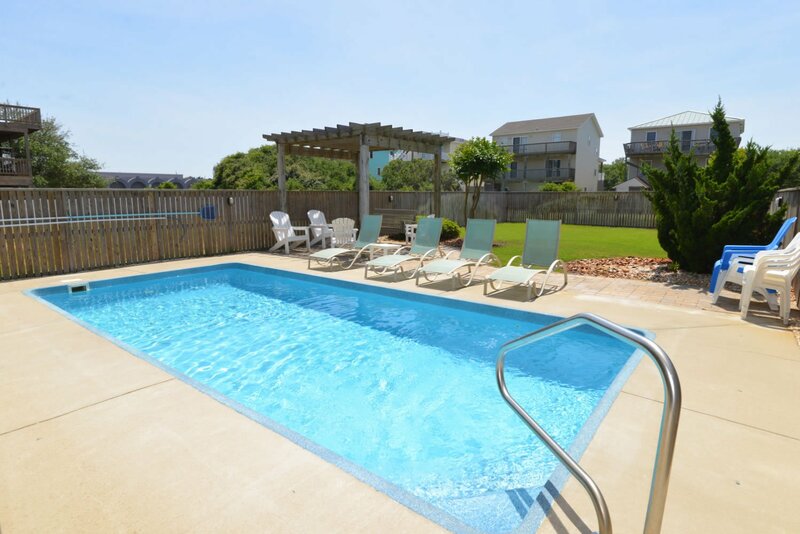 Features include: C/AC & Heat, Washer/Dryer, Dishwasher, Microwave, Phone, 6 TVs, VCR, DVD, Stereo w/CD, Wireless Internet, Deck & Pool Furniture, & Approx. 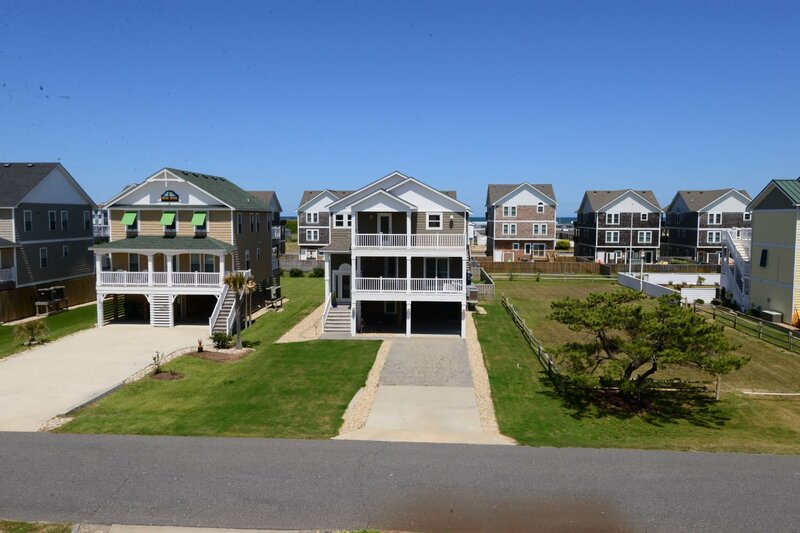 450 Ft. to Beach Access. No Pets. This is a Non-Smoking Home. We found the home very comfortable. Beds were comfortable, kitchen was well equipped. Nice size pool, many are so small, this one accommadated everyone. 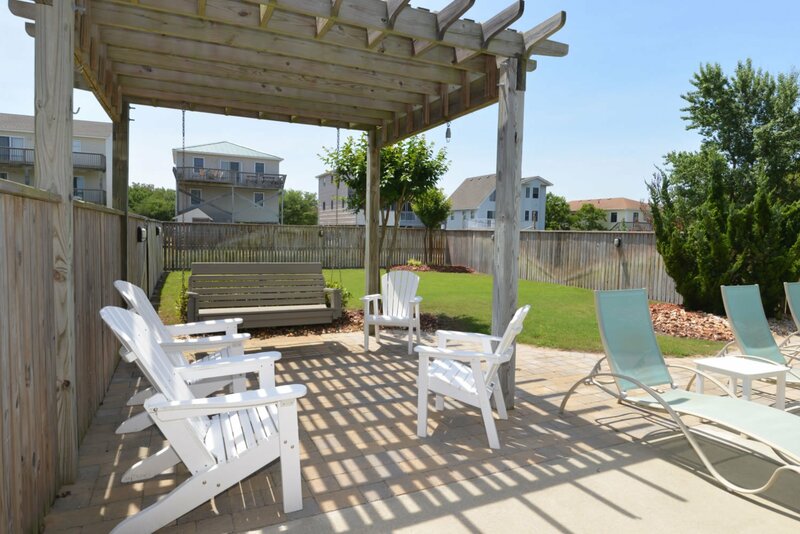 Loved the pergola with the grill area. The cottage was very clean when we arrived. Also and via your notification option, we got in the cottage at 12:30 pm. This was very helpful as we had a 2 year old granddaughter in need of a nap. So thank you very much for this service. Really liked the house very comfortable. 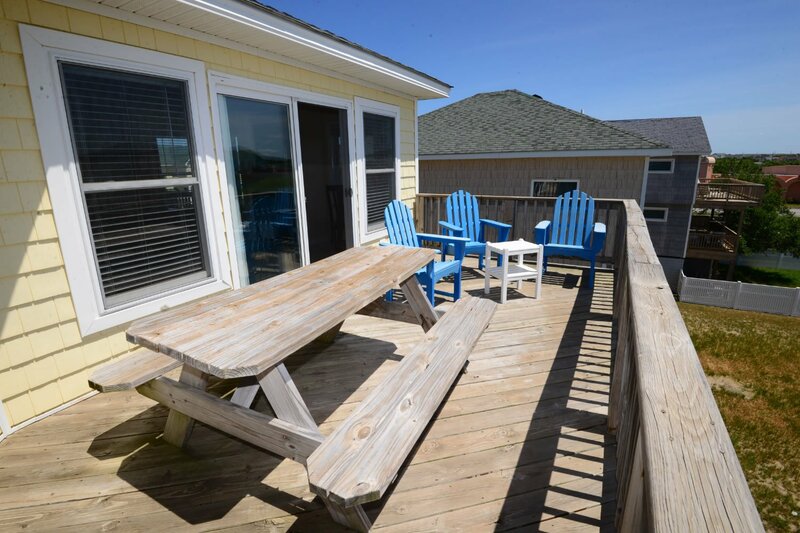 Aloha cottage is a well equipped and very comfortable house. 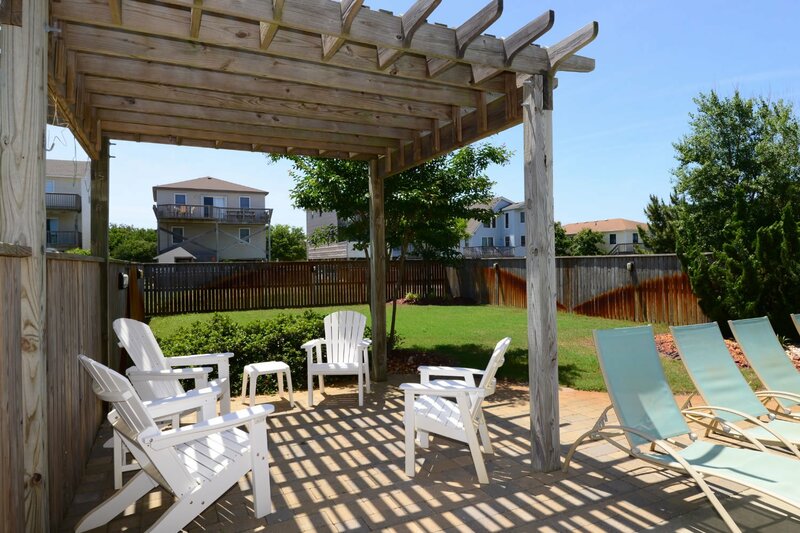 We appreciate the amenities and feel of a 'real' home instead of it being decorated and supplied just as a rental. Home is beautiful comfortable and accommodating. We enjoyed our visit very much. Great home.. Thank you. 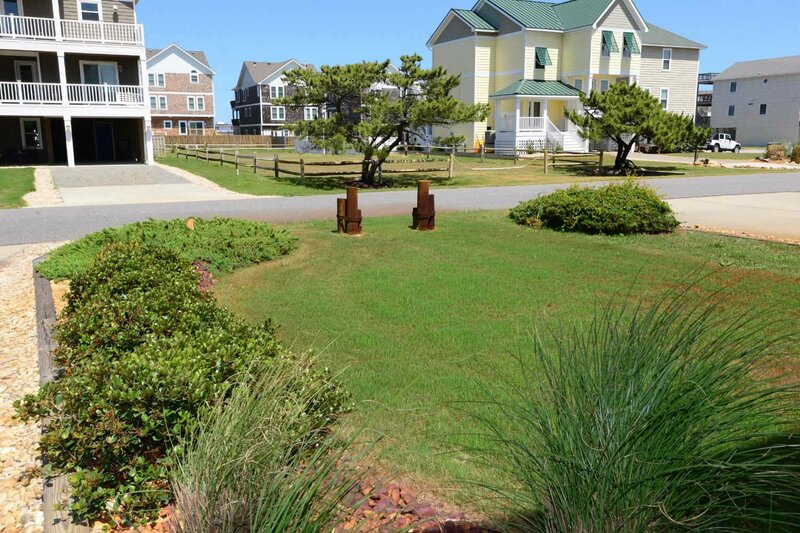 We have been visiting the Outer Banks for 30 years. The Aloha was our favorite rental of all and we would definitely return. It really fit the needs of our family. The house was very well designed and furnished. The kitchen was so well supplied with everything we needed to cook with. 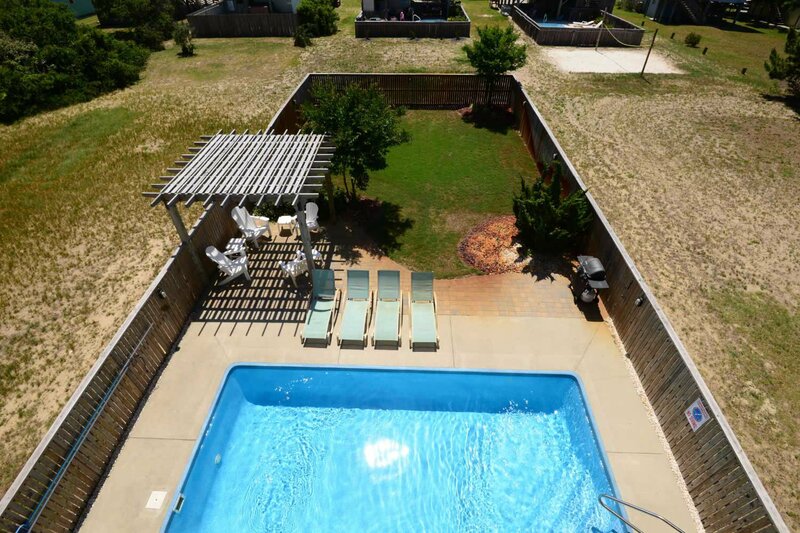 The pool and fenced in area was perfect for our grandchildren. The location was perfect also. 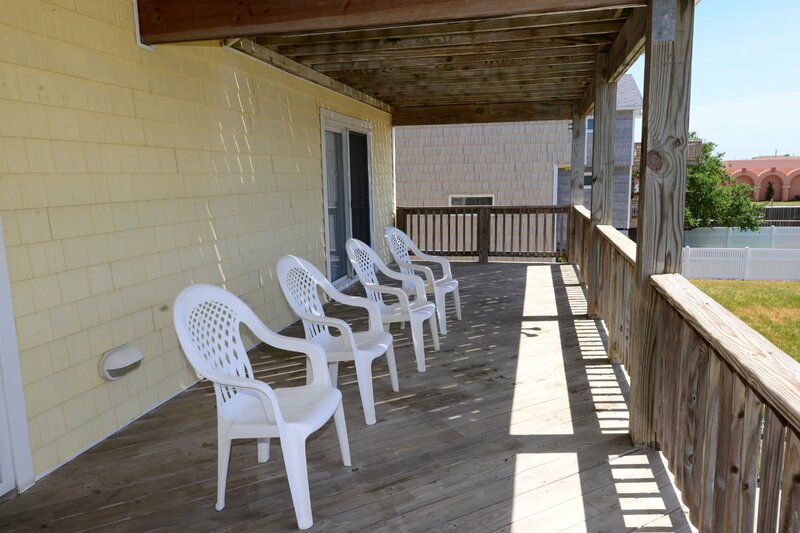 It is very close to the beach access. This home is very comfortable and welcoming. The owners have gone out of their way to equip the kitchen with everything you might need. Love the beachy feel as the home is decorated with Tommy Bahama. 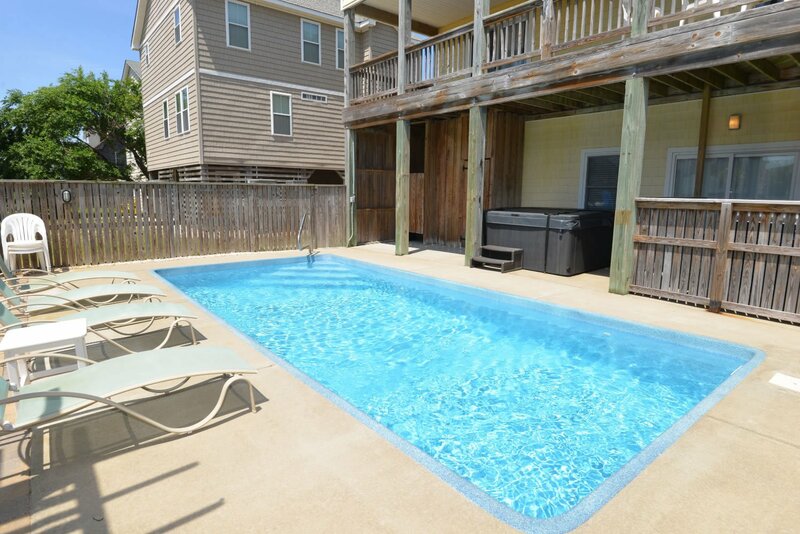 The pool and backyard, with real grass, were enjoyed by all. Will definitely stay there again! 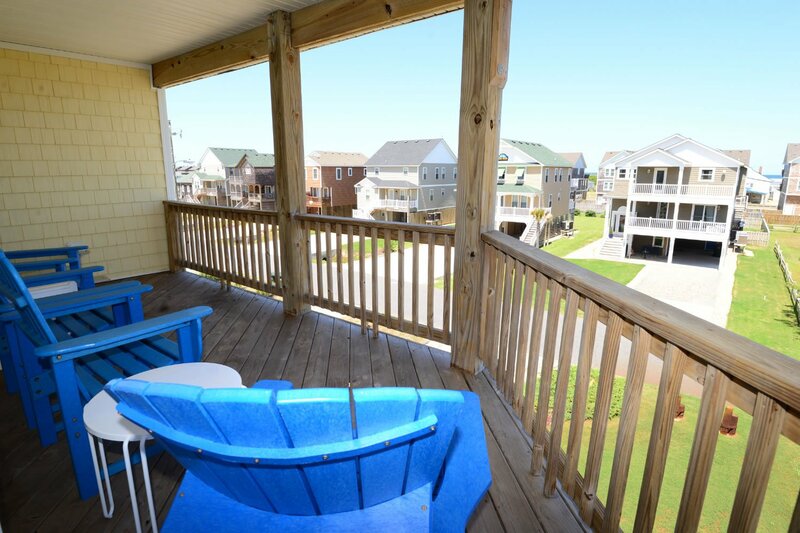 We loved the outdoor area as well as the downstairs area. We would have liked a swing outside. But other than that everything was beautiful.